But we also get a glimpse of the intimate spaces of Douglass’s private life that are haunted by the specter of his slave experience. Blight reminds us that slavery stole from Douglass “all filial affection . . . [H]e never found it easy to love, while always seeking love as much as anything else in life.” Perhaps this gaping absence or, better, need, along with his hatred of slavery and American racism, kept him on the road, even in old age. Douglass maintained a back-breaking speaking schedule. Constantly traveling, he left his family in the hands of his unshakable wife, Anna Murray, an illiterate, free-born woman who grew up on the east bank of the Tuckahoe River in Maryland. It was she who bore the burden of raising their family, managing the household (often under financial duress), and helping to navigate the life of the most famous black man in the world. This private realm is one in which children sought the approval of their famous father and repeatedly borrowed money from him to prop up failed business ventures. It was a refuge in which Douglass sometimes expressed his insecurities and loneliness, where grandchildren loved to play with their grandfather’s white hair, and where death seemed to shadow every nook and cranny. The passing of children in the 19th century wasn’t an unusual occurrence. But it seems that funerals of grandchildren at Cedar Hill, the Douglass home in Washington, D.C., was a never-ending ritual. Blight is masterful in handling this material. In these moments, the pace of this big book picks up; the details pull you in; and if only just for a moment, the larger-than-life image dips and we see the man. Of course, the heroic figure remains central. Douglass as prophet, writer, and politician emerges from these pages. Blight brilliantly shows how his subject drew on biblical languages, even as he expressed skepticism about white Christendom in criticizing the sins of the country. As Blight put it, “[h]e was an American Jeremiah chastising the flock as he also called them back to their covenants and creeds.” But this isn’t a simple story about Douglass’s politics. His prophetic fire matters in the context of his heroic effort to will himself into being. 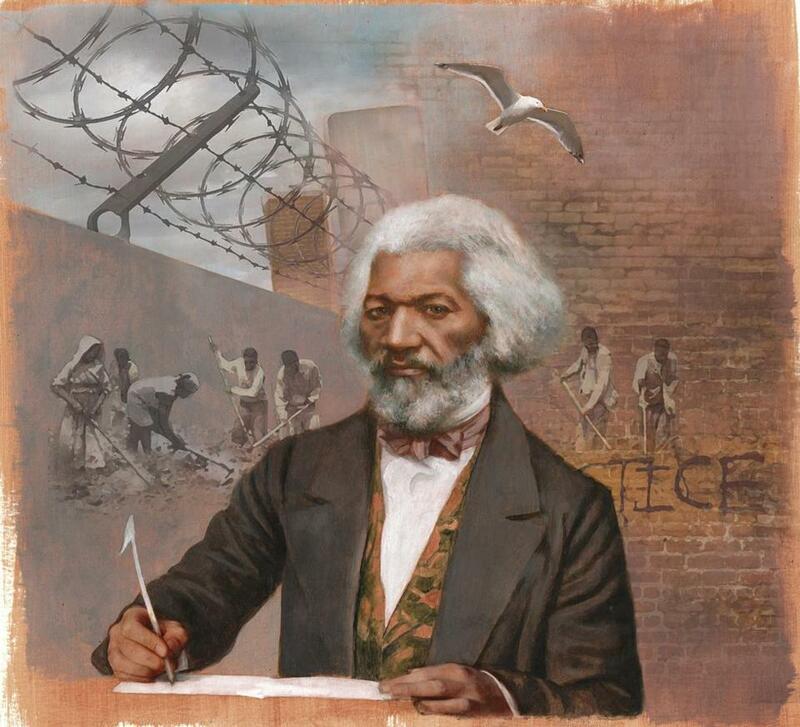 In one sense, Douglass’s fight against slavery involved an act of self-creation, with his literary pen one of his primary tools. In this sense, reading Blight’s magisterial book against the backdrop of Trumpism makes the example of Douglass all the more extraordinary. “Make America Great Again” sounds like the clarion call of those apostles of forgetfulness. It is a slogan embraced by modern-day Copperheads. But Douglass warned that “it is not well to forget the past.” His story, in Blight’s careful hands, was a dress rehearsal for our own times. Our present course of action, Douglass might say, must be shaped by “a history braced by a tragic sensibility” and be one that doesn’t shy away from who we actually are and the horrible things we have done. Otherwise, as we are now painfully aware, the ugliness overwhelms. Eddie S. Glaude Jr. is the James S. McDonnell distinguished university professor at Princeton University.